The two humans featured here are getting hitched on Saturday, I’m really looking forward to it, they have an awesome day planned and we’re just going to take it easy and chill. 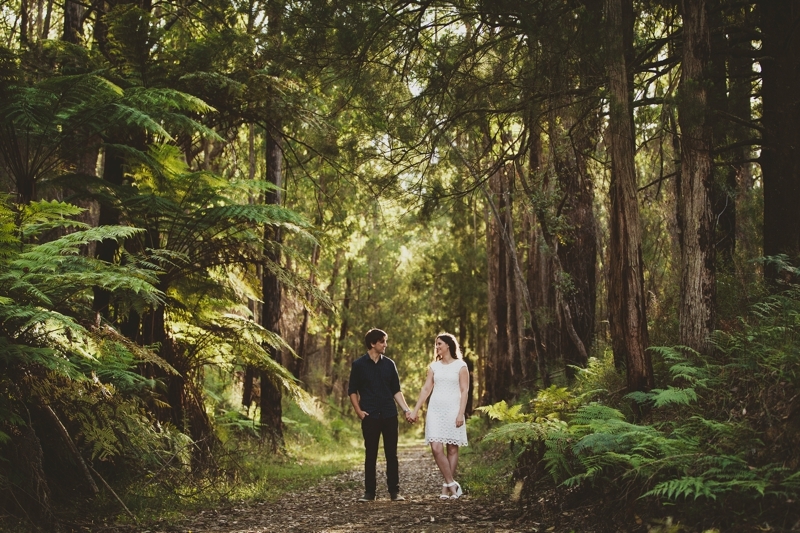 We did Vanessa + Drew’s engagement shoot up at Noojee Trestle Bridge, a place that always surprises me with it’s beauty, then I’m there with a gorgeous couple, the light was doing it’s thing and I couldn’t have asked for more that day really! You probably can’t see the detail, but their save the date bunting was made of pages from Harry Potter books – how cool is that? Apparently that sets the scene for their wedding, I’m looking forward to books, cocktail food and marquees on a farm – stay tuned for a sneak peek next week! Hope you are having a great week guys, see you in less than 48 hours!